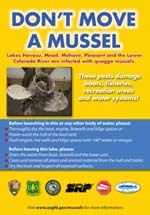 Bartlett Lake Boat Club - Don't go into debt to enjoy the water, join BLM Boat Club, where your only responsibility is enjoying beautiful Bartlett Lake. Give Bryan or Eric a call to scheduale time to walk-through our fleet, discuss our club features and join Bartlett Lake Boat Club. Our staff is happy to answer your question & walk-ups are always welcome! Feel free to contact Bryan or Eric and the Marina anytime, we are open seven days a week, from 8am to 7pm. I look forward to seeing you on the water! 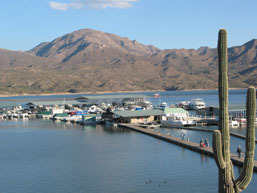 Bartlett Lake Marina offers it's members and the public everything you need to enjoy a peaceful day boating, skiing, camping or just relaxing under the warm Arizona sun. Our general dock store is fully equipped with boating, skiing, fishing (worms & minnows), snacks & ice-cream and both alcoholic and `kid friendly` beverages. During the summer months our dock grill offers a fabulous outdoor hamburger and beer-brat grill that is the destination of many hungry boaters and motorcyclist. Enjoy the freshly grilled to order burger on our large covered floating patio. Whether your fishing, camping, wake-boarding or just absorbing the Arizona sun, Bartlett Lake Marina has everything you need to have a relaxing day on the water. Located 45 minutes north of downtown Phoenix on beautiful Bartlett Lake in the heart of the Tonto National Forest, Bartlett Lake Marina's family atmosphere and beautiful surroundings makes it a wonderful location for your friends and family to enjoy an unforgettable Arizona day on the water. Bartlett Lake is the second largest lake in the Phoenix Metro Valley area, with boatable surface area of 2,815 acres - more than Canyon Lake and Saguaro Lake, combined. Our lake isn't like many of the others your familiar with, it is better! It is often remarked by lake visits how much "less crazy" Bartlett Lake is over other popular valley lakes. 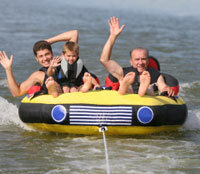 Join us at Bartlett Lake for a stress-free day at with your friends and family on the water? Bartlett Lake Marina is a state-of-the-art facility with full service boat storage (covered & uncovered), complimentary member boat launch's seven days a week, on-the-water gas pumping dock and private secure wet slips with full utilities (water, sewage & power). Our entire facility is protected behind pass coded protected gates, security fencing and closed-circut cameras. Your property's security and protection is our primary concern. Rest assured, your boat is safe with us!